Parrot Mountain — Brittell Architecture, Inc. 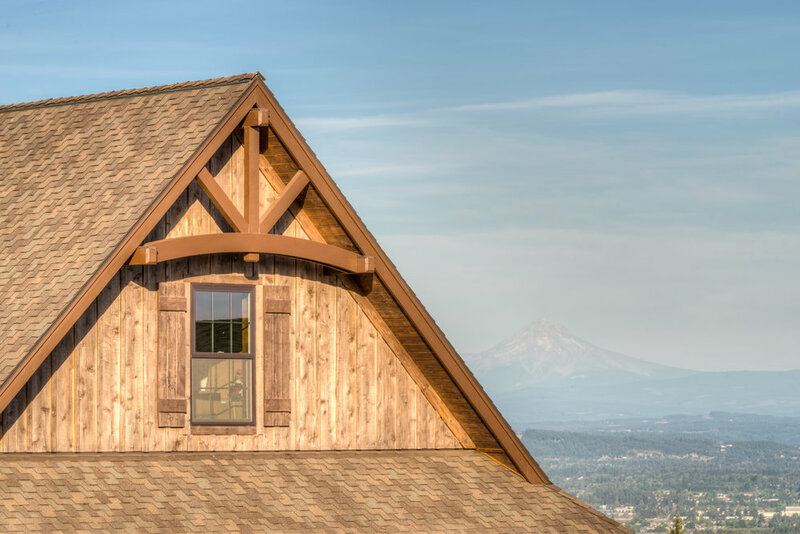 This residence sits atop a hill that overlooks the scenic Willamette Valley and has a breathtaking view of Mt. Hood. 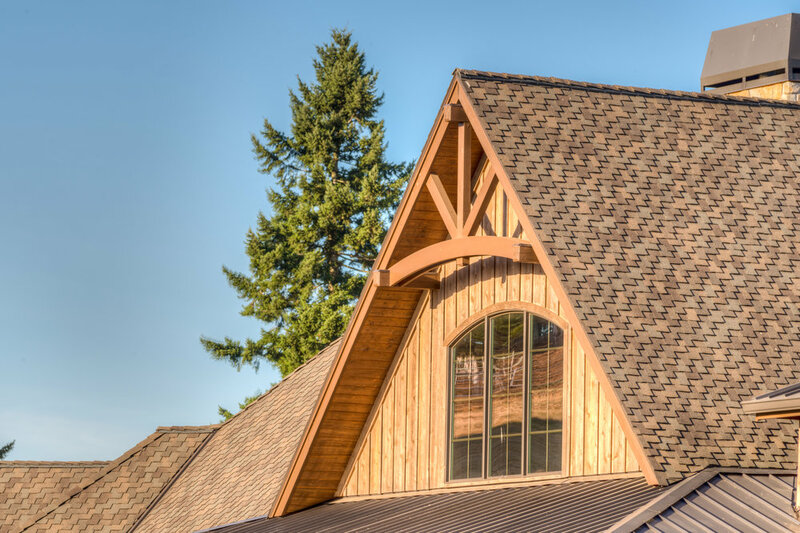 Great care in detailed were incorporated to provide a "Northwest Rustic" style to this residence. Various building materials and roof configurations are arranged to create an interesting and inviting home. Large expanses of windows are provided at the back side to take advantage of the view.